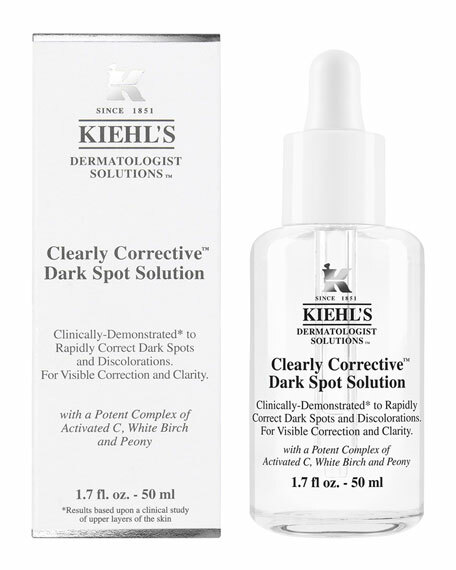 Kiehl's Since 1851 Clearly Corrective Dark Spot Solution, 1 oz. 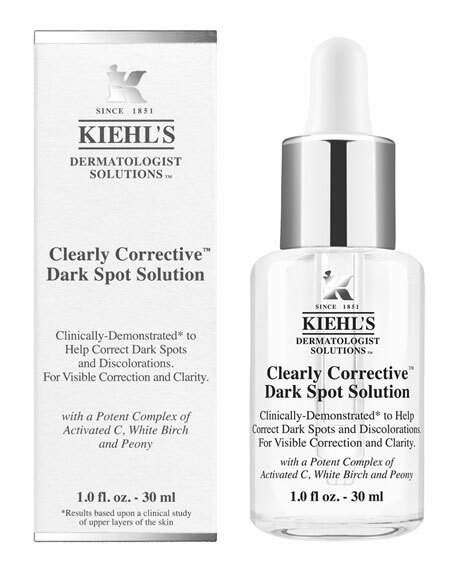 Kiehl's Since 1851Clearly Corrective Dark Spot Solution, 1 oz. 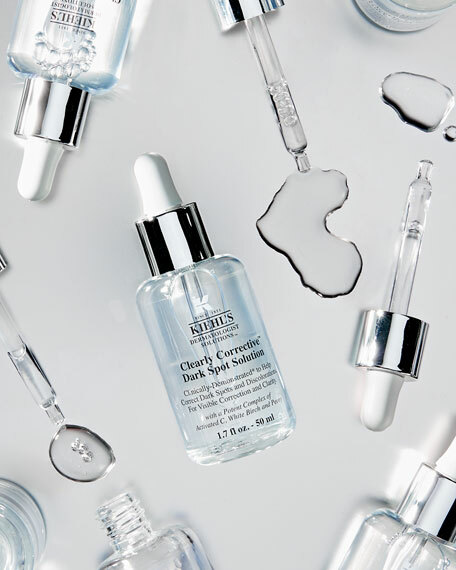 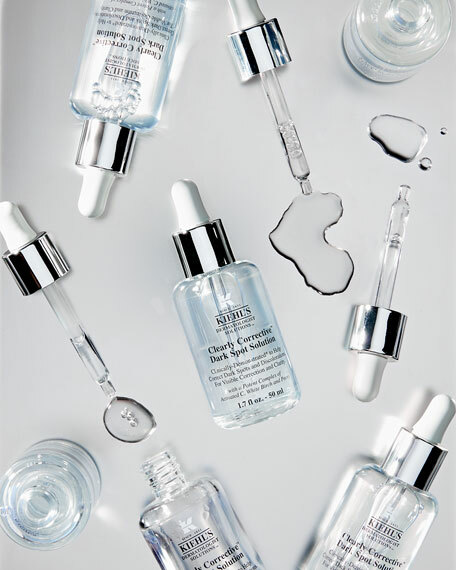 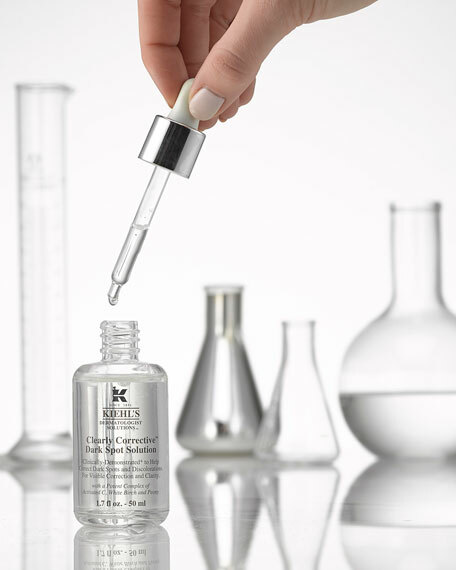 A facial serum that helps visibly correct dark spots and improve overall clarity. 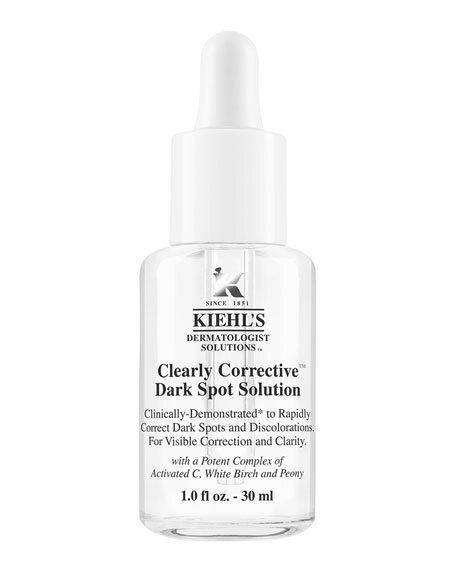 • Activated C A potent next-generation active, works faster than the leading dark spot ingredient. 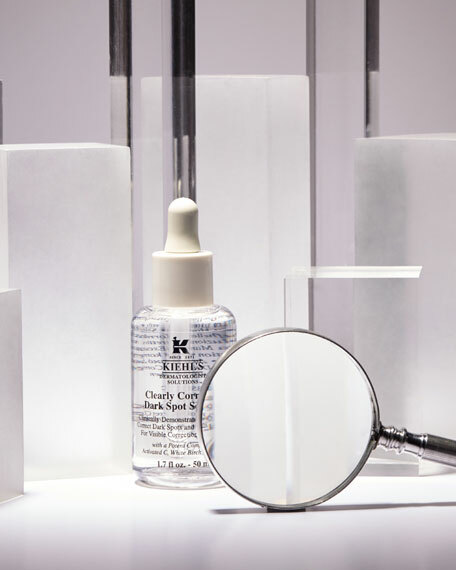 Penetrates rapidly to attack deep-set dark spots while preventing the formation of new discoloration for visibly more uniform skin tone and clarity. 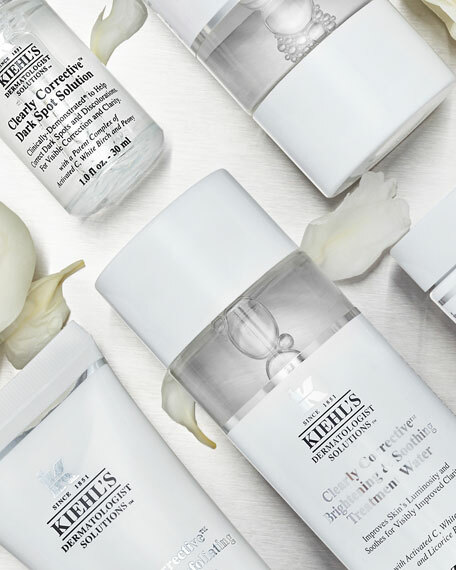 Apply morning and night, before your moisturizer. 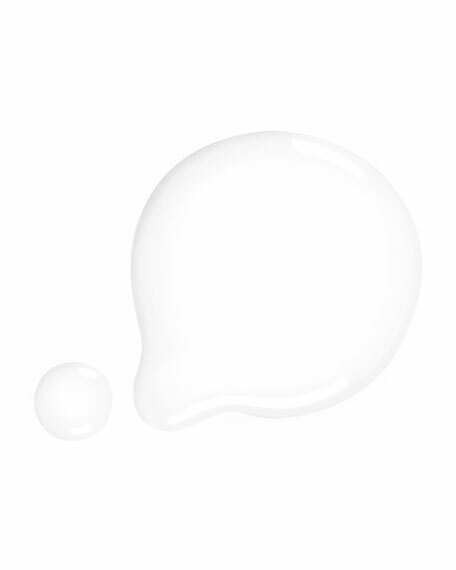 May be used as a spot treatment or over entire face. May also be used to correct visible discoloration on hands, neck and chest. 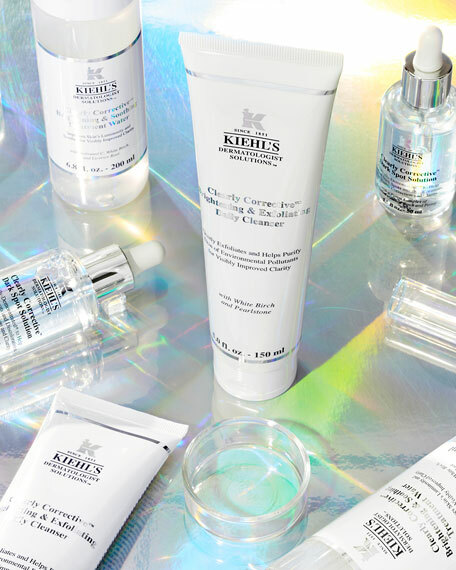 For optimal results, apply a daily sunscreen. 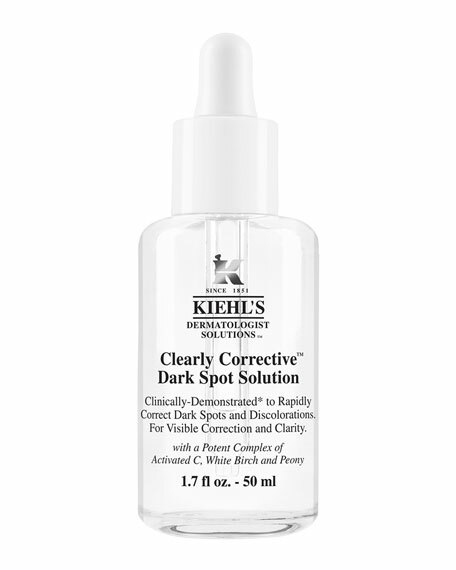 Kiehl's Since 1851 Clearly Corrective Dark Spot Solution, 1.7 oz. 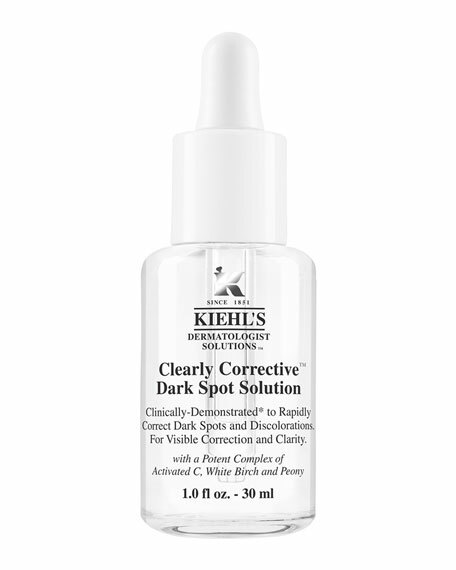 Kiehl's Since 1851Clearly Corrective Dark Spot Solution, 1.7 oz. 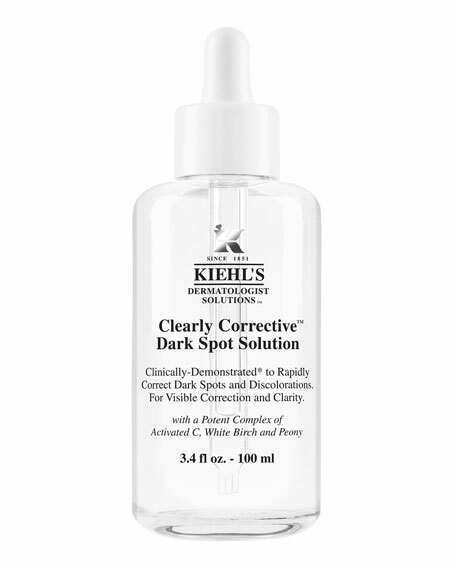 Kiehl's Since 1851 Clearly Corrective Dark Spot Solution, 3.4 oz. 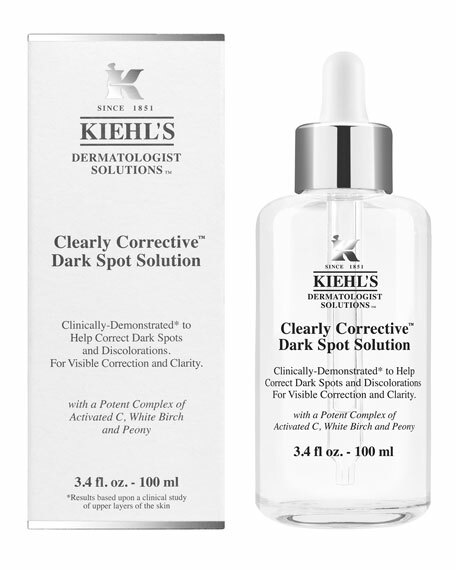 Kiehl's Since 1851Clearly Corrective Dark Spot Solution, 3.4 oz.